Today I've got some bragging to do. I may have mentioned before that my Dad is an artist for Hallmark Cards. When I was 2 we moved from Utah to Missouri so that my Dad could take a job there and he has been illustrating greeting cards for them ever since. I've always been proud to have an artist for a Dad and heavily considered going into illustration myself. It never gets old to find one of his cards in a card shop or in today's case- one of his books. 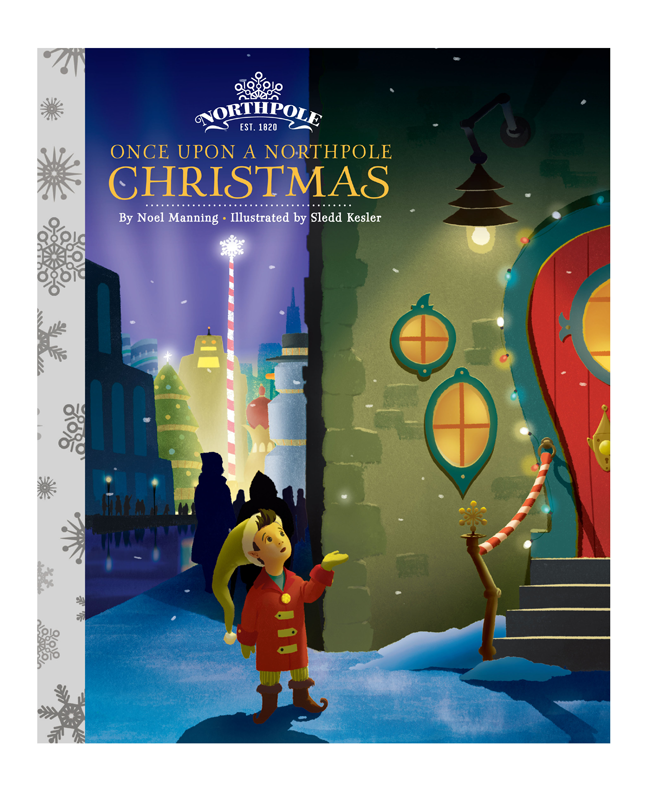 He is so talented and this year I want to share his most recent project with you- Once Upon a Northpole Christmas. 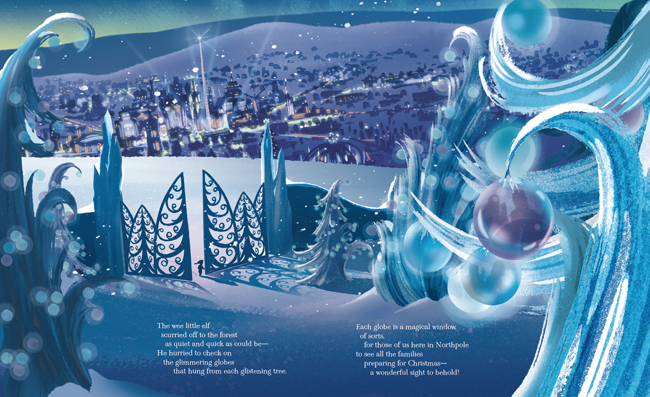 For the last year my Dad has been working on the illustrations for this beautiful Christmas book. It turned out so well and I was so proud when I found a copy in my local grocery store last week! Having seen his side of it- I know how much work goes into a project like this. I'm so excited for him and his co-workers that helped put this book together. 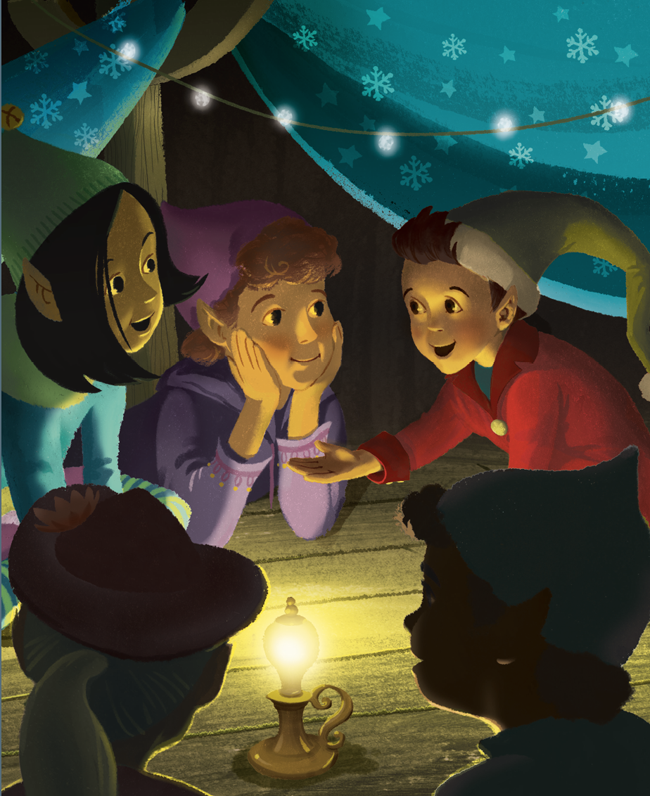 This book would be the perfect Holiday book to read this weekend with your family and to add to your Christmas collection. (This isn't sponsored at all- I just wanted to share!) You can find the book online or almost anywhere Hallmark products are sold including Hallmark Stores, Walmart, HyVee and Walgreens. If you want to see more of his Christmas cards (most of which are still for sale) you can find images of them here. Do you send out Christmas cards? What traditions are you excited for this year? 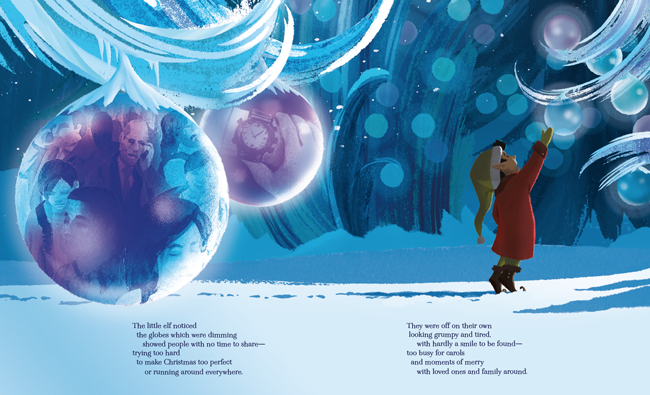 Gorgeous illustrations! I especially love the one of the town. How awesome! Creativity definitely runs in your family! That is so cool that your dad illustrated this book! I just bought this book last week at Walmart. Every year my boys (I have 3) get new Christmas jammies and Christmas book to open on Christmas Eve. I love the message and can't wait to read it to them!